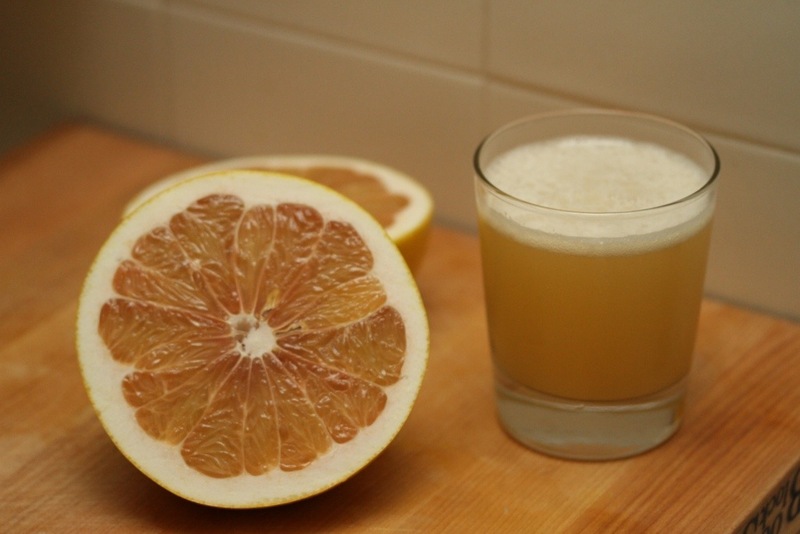 I mentioned a cocktail during our class on Tuesday that I have been making with some of pomelos and I thought that a recipe might be in order. I am but a budding bartender but I think that this cocktail is a really good one. 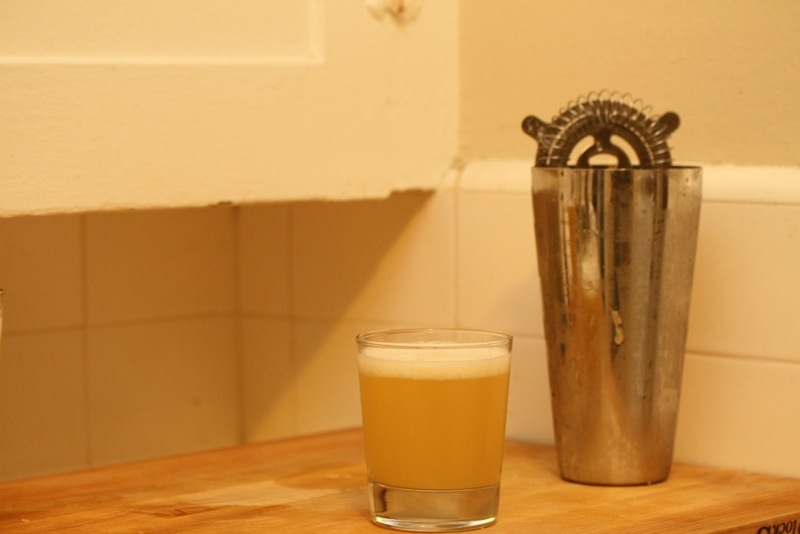 I believe that it technically falls into “sour” family of drinks – spirit + citrus + sweetener + egg white – but we’re not going to use egg whites (pomelo juice foams up fine on its own) and we’re going to add some seltzer. 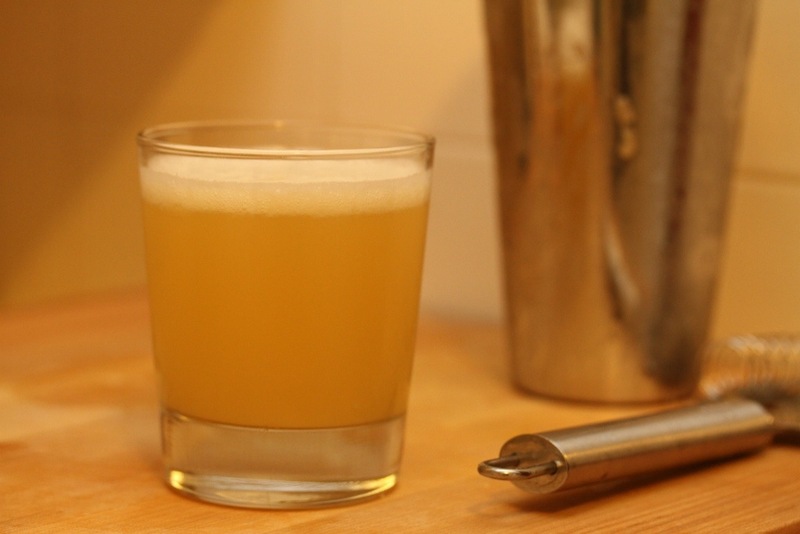 The pomelo juice and agave give the drink a nice foam, the bitters play well with the flavour and the small quantity of seltzer provides a bit of zing. If you don’t have agave syrup at home, simple syrup or straight-up white sugar would be a good substitute. Pomelos aren’t the easiest to come by. They are in season right now and should be available in some local farmers’ markets. Asian grocery stores are a sure bet. We’ll have some at the Fullerton Arboretum Farm Stand this week if our raccoons don’t get them all. Add 2 oz of soda water/seltzer and stir gently for 20 seconds. Strain into a pre-chilled old-fashioned or lowball glass (or whatever vessel you have handy). Have you had pomelo before? What’s your favorite way to enjoy this lesser known fruit? Pingback: New Year, New Fun, New Class! Next Next post: The Nettle Easter Egg!